Parts used for end treatment of wire rope. Please firmly fix into place with wrench included. I wanted material explanation such as the material, such as the middle screw or attached imo screw, screw pitch of iron .... I think that the product has good processing accuracy. This review is about item#06597604. Terminal processing of wire cable can be easily done on site. This review is about item#06597595. It may be too thick when used in a gap. 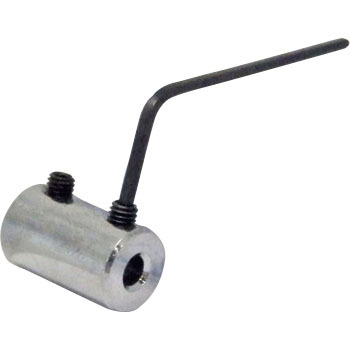 Since there are three screws, there are cases where it can not be used in a narrow angular position. Other than that, it is convenient because you can easily fix the wire rope without a special tool. Depending on the ingenuity, it can be used for various purposes. Since fixed anchovies are loose, it is likely to fall out if you do not tighten the wire.